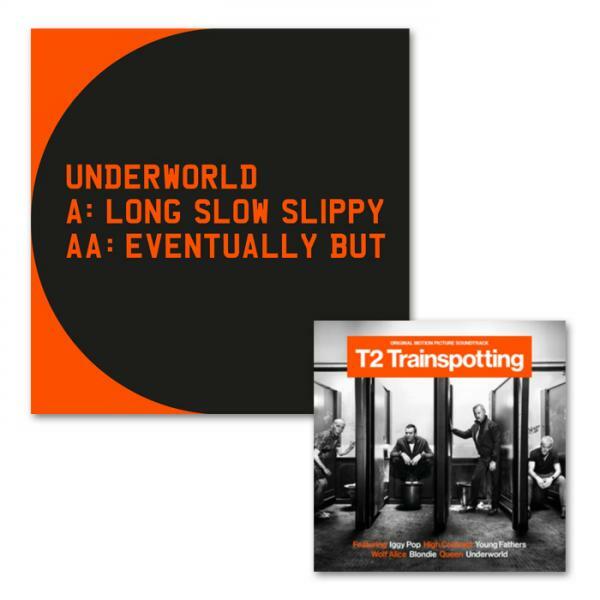 To celebrate the release of T2 Trainspotting, we have put together a very special limited edition 12” which you can get along with a CD of the official film soundtrack. On the 12", side A has the full-length version of the reimagined Born Slippy (Nuxx) - Long Slow Slippy (an edit is included on the official soundtrack album). On the other, Eventually But - the first new Underworld track since last year’s album Barbara Barbara, we face a shining future. This full version is only available on this 12” and is not included on the soundtrack album and is not available digitally. The 12” is pressed onto 180-gram heavyweight vinyl, cut at half speed to be played at 45 RPM, in a die-cut sleeve, with artwork by tomato. Available exclusively at underworldlive.com.